AEO reward levels / American eagle rewards customer service: Rewards! This word is the most used word these days by every good company so as they can attract more of their customers. The huge list of companies is there which are into same reward program but of all, an example of American Eagle will be best to deal in. If you are a frequent customer of American Eagle, Aerie or 77kids store you may be on way to earning rewards. Enjoying the sales, a discount from American Eagle Outfitters can now become more enjoyable. Simply sign up to get an AEREWARDS card and earn attractive rewards from American Eagle AERewards as well! What Is The American Eagle AERewards? American Eagle Outfitters is a good brand who owes three sub-brands which are American Eagle Outfitters (AE), Aerie and 77kids. Each brand has the different aim to come in the market. Each brand targets different groups of consumers. Let’s check about AEO reward levels. American Eagle AERewards program allows customers to earn points from any purchase of these three brands. The purchase must be made in the site store or online store. Each dollar spent on AE is equaled to 1 point. 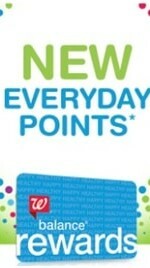 The accumulation of Points will take place on AERewards account for every 3 months. The benefits will be enjoyed as follows, when you have earned 100 points you are eligible to get the discount of 15%, on the 200 points, 20% discount; 350 points, 30% off; 500 points, 40% discount. Special discounts on birthday, free Aerie Bras, members only sale and events can be there which can be enjoyed on AERewards card. How To Earn Rewards From American Eagle AERewards? 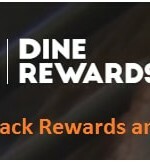 The aereward$ card should be there so as to get into it. For managing your account online, you need to have AEO online Account, this will manage the reward points. 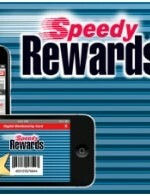 Apply for an AEREWARD$ card if you don’t have. Apply for same at any local AE or Aerie store, or you can sign up online at AE.com, Aerie.com or 77kids.com. Once received your AEREWARD$ card, find out the 14-digit card number present on the back of the card. Whenever you make a purchase at AE, Aerie store or online store, simply enter the card number in My AEREWARD$ # box before checking out, this will earn you points. After the purchase is made and a number is entered, you will automatically earn your points automatically. 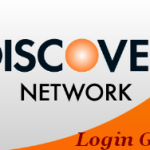 If you want to manage your rewards points or make a purchase online, click “create account” on the sign in page. Following instructions, create your AEO online account. Sign into your AEO account, and start managing your earned points anytime you want. 0.1 What Is The American Eagle AERewards? 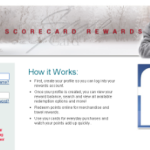 1 How To Earn Rewards From American Eagle AERewards?